A trip to Bristol Zoo. 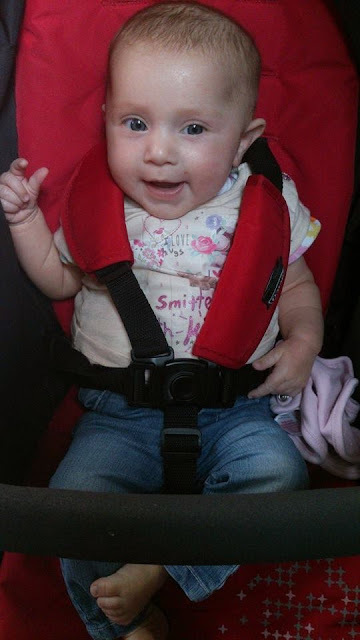 I am so sorry I have been a little quiet on the blog this week, we have been enjoying some family time together and making the most of the nice weather! With that in mind today we took a trip to our local zoo, Bristol Zoo! Apart from a few showers of rain the weather was lovely and we had a fantastic day, There was so much to do including animal encounters and animal talks, park areas, a turtle maze and of course looking at all the animals to name a few. Bristol Zoo have lots of different themed zones to discover and buildings with different species inside which include the Reptile house, Aquarium, Gorilla island, Twilight zone, Butterfly forest, Zona Brazil, Seal and penguin coasts and Bug world. James certainly enjoyed the photo props we found on the way around which included some themed boards like the bats below where you could pop your head through, giant shells and event he jaws of a shark, but are you brave enough to put your head through!? Alongside these funny photo props we also found boards with information about the animals in nearby enclosures too which was really informative and some of the facts were fascinated! Some of the enclosures also include special tunnels or interactive features such as these tubes with a bubble at the end so you can crawl through the tunnel, pop your head up into the bubble and it feels like your in the enclosure with the animals! This was a big hit with James as he could get some close up looks at the animals such as the meerkats and huge fish. He also loved the tunnels under the water which meant you could see all the seals, penguins and fish swimming over head! 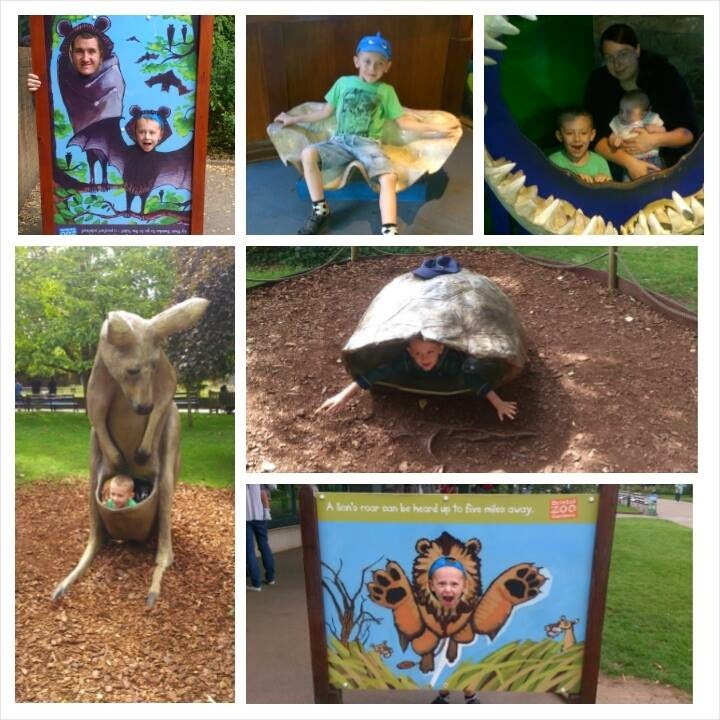 We spent the whole day at Bristol Zoo and thoroughly enjoyed ourselves! 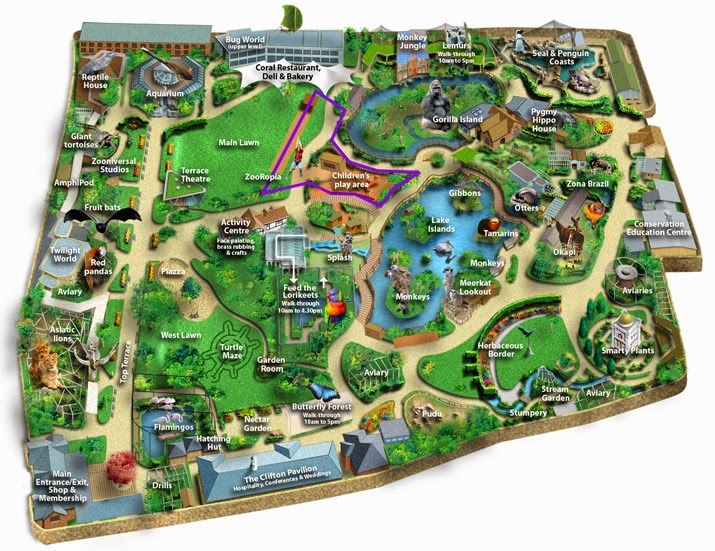 As you can see from this map there is so much to do at Bristol Zoo and around every corner there is something new to see. 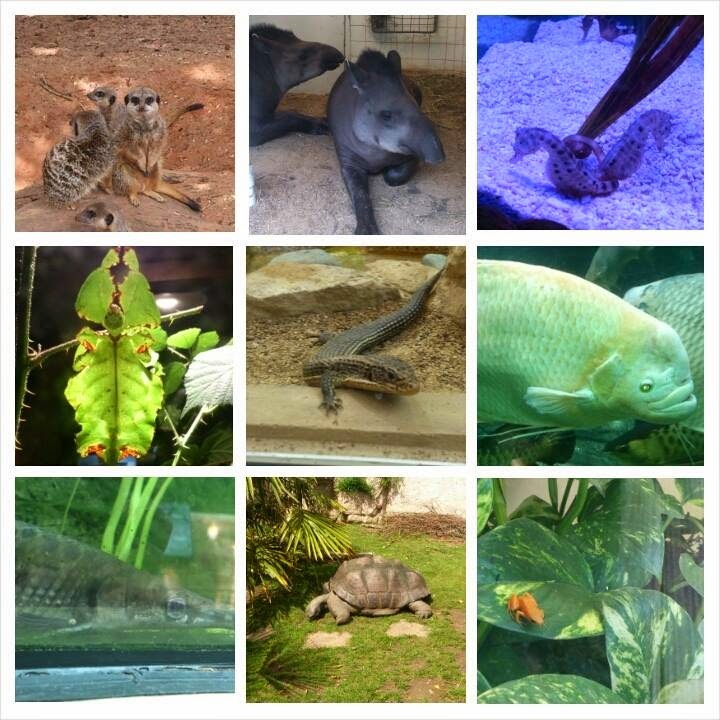 From exotic animals to monkeys swinging through the trees and even some live animals shows happening on the green. (Photo taken from the Bristol Zoo website). There is something to entertain everyone of all ages and at the end of our visit we popped into the gift shop some of the items did seem quite expensive however they were REALLY cute and there was so much on offer from cuddle toys, arts and crafts to sweets! We finished off our visit with ice cream and smiles all round. Bristol Zoo Gardens, A five-hectare zoo in the heart of Bristol. The Bristol Conservation and Science Foundation, which is responsible for all of their conservation work – both in the field, and at home. The National Wildlife Conservation Park – a proposed, new 55-hectare zoological park located at Cribbs Causeway, Bristol. The first steps towards creating this park have now taken place with the opening of the Wild Place Project. 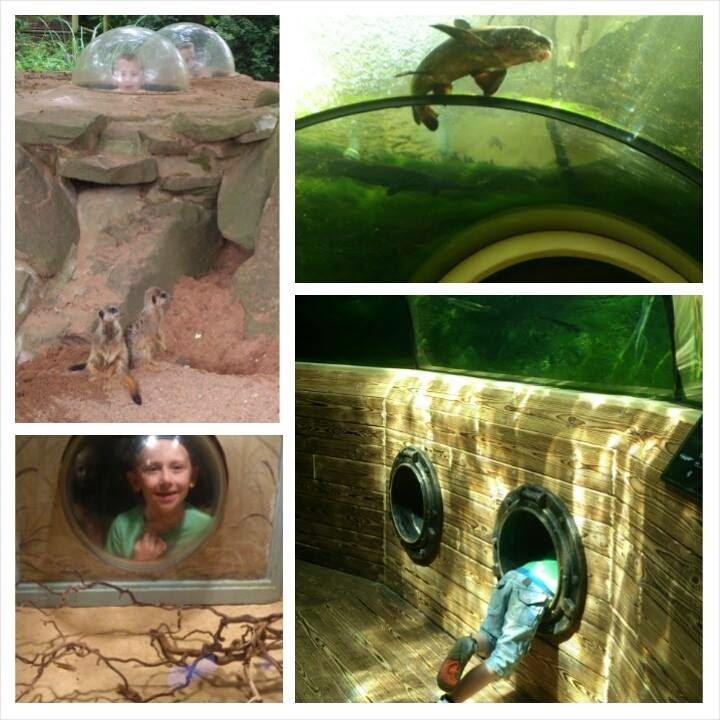 We highly recommend Bristol Zoo if you are looking for a fun, educational and exciting day trip for all the family. There is lots to offer onsite and in the summer holidays you can often find "kids go free" offers via the zoo's website or Facebook page. Bristol zoo looks amazing. My kids would enjoy climbing into the animal models, the kangaroo is fab. Bristol Zoo looks ace. You have to make the most of family time anytime you can. 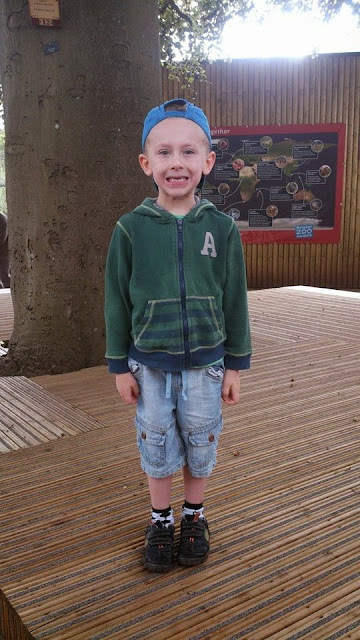 We are members of Bristol zoo and love it there...so much to see and do. Love your photos, it looks like you've had a lovely time. I really need to go to Bristol zoo - we tend to go to Marwell as it is a bit closer but Bristol isn't too far away!